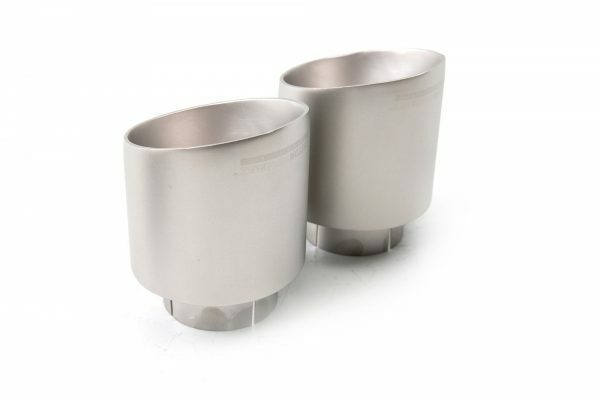 It is not possible to upgrade your exhaust to a valved version at a later time. Earn up to 49 BoostBucks. 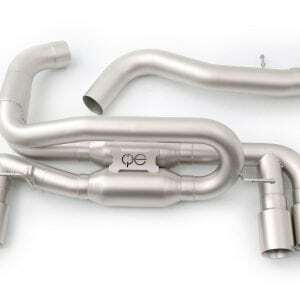 Looking for a little more out of your Focus RS exhaust? 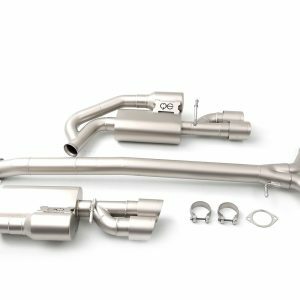 Introducing the cp-e™ Focus RS Exhaust for the AWD Focus RS. This Focus RS Exhaust includes a valve delete plug for the OEM valve so that all drive modes are maintained. 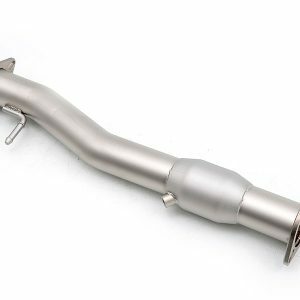 This cat back exhaust will not only improve the breathing of your Focus RS, but it will also give you that aggressive exhaust note you’ve been looking for! The cp-e™ Austenite™ cat back exhaust has a very controlled exhaust note that gives the driver no drone at cruising speeds, yet a pronounced and aggressive tone at wide open throttle. Never overwhelming, the new cp-e™ sound will grab attention; not from obnoxious noise, but because the sound is exotic and unique. 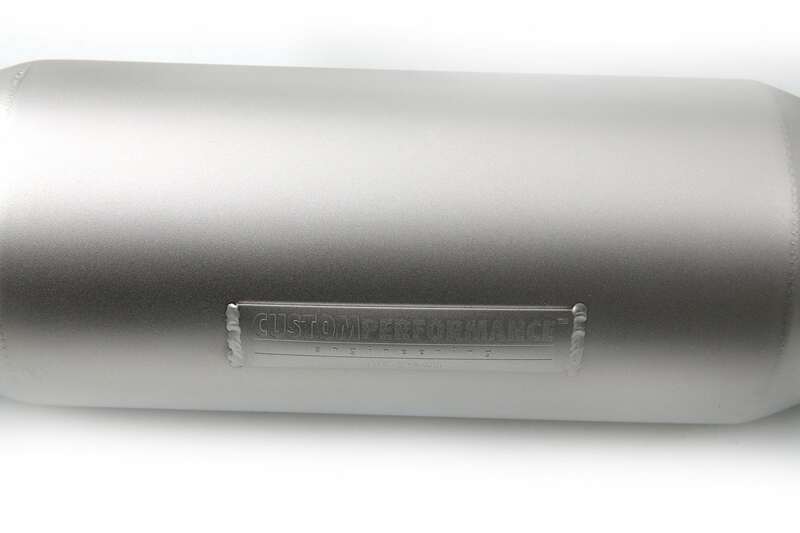 The cp-e™ Triton™ Cat Back includes a dynamic exhaust valve to assist in making this exhaust the perfect tone. These pipes keep the exhaust at a nice tone while also eliminating drone without adding backpressure. For those who have replaced the factory downpipe, this 3″ cat back will remove the last bottleneck in the exhaust stream; increasing the engines breathing capacity and smoothing out the turbo spool. 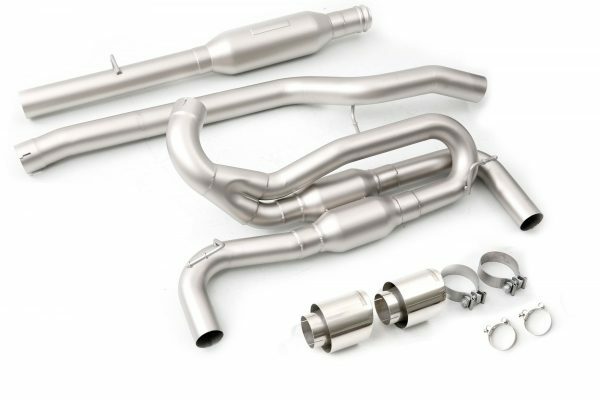 All cp-e™ exhausts are made from Titan™ finished 304 Stainless Steel. 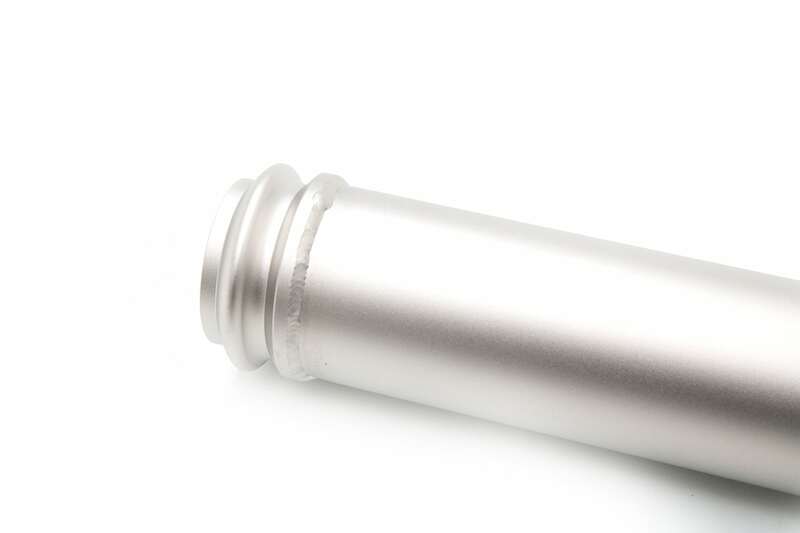 The 18g heavy duty stainless piping is mandrel bent and cut on our in-house CNC Bender and CNC Mills. The system features custom cast Stainless Flanges, reliable hangers, custom made Stainless Mufflers and polished stainless tips. Everything is TIG welded by hand to get beautiful color and durability in the welds. Designed fully in a CAD environment, cp-e™ is able to guarantee a factory-like fit every-time with great performance gains. 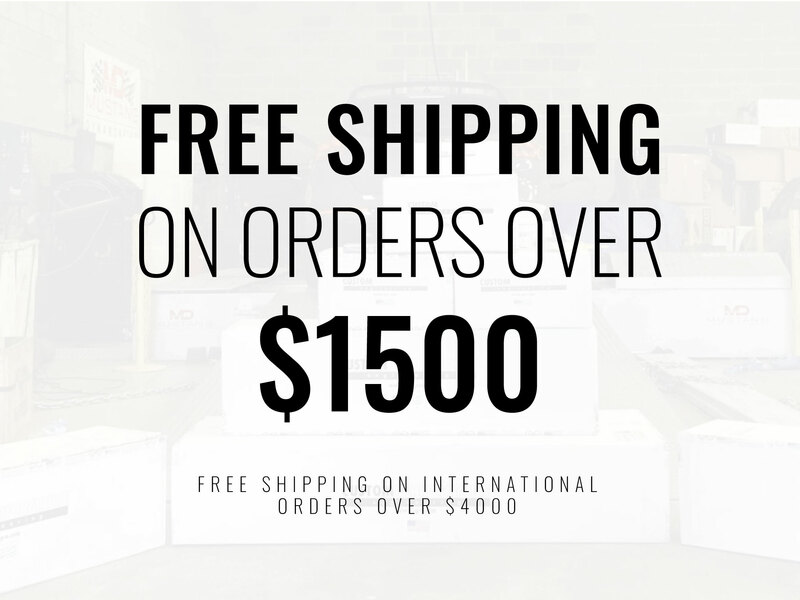 All cp-e™ products are backed by a lifetime warranty. 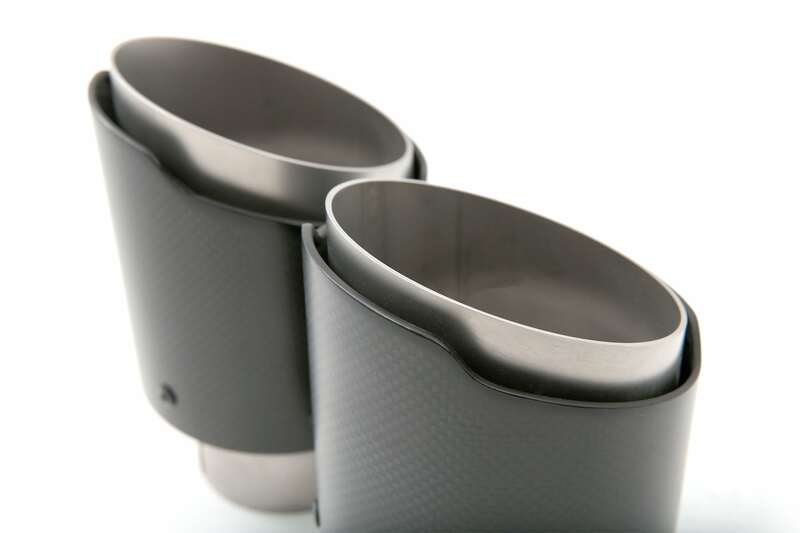 Our exhaust includes our signature Titan™ finish exhaust tips, but they can be replaced with our Carbon Fiber Exhaust Tips. This finish will hold up to high heat and matches the rear diffuser of the Focus RS very nicely. 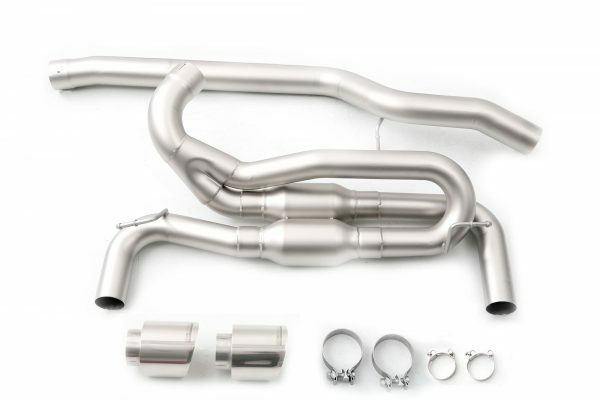 Titan Finish is our revolutionary finishing process that provides a consistent matte finish over the entire Long Tube Headers exhaust. This finish not only makes the exhaust look great, but it extends the life of the exhaust by strengthening the metal and welds. 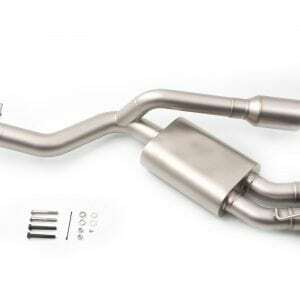 The Focus RS Exhaust is manufactured for a perfect fit and finish. 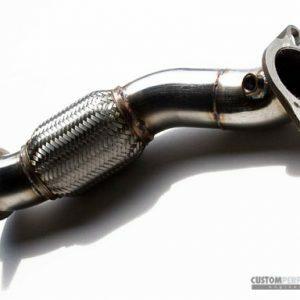 This exhaust will work perfectly with your stock downpipe for a stealth install or along with our QKspl™ downpipe for the most pure sound.